With its unique setting and Neoclassical ambience, the Platán Restaurant offers a truly special dining experience in the grounds of the deservedly famous lake spa in Hévíz. Our mission is to blend the latest culinary technologies with the local traditions of Hévíz. The year 2015 marked the opening of a new chapter in the restaurant’s history, following the much-anticipated renovation. We removed the wall between the old kitchen and the seating area, and added a brand new building to house cooking facilities with capacity and equipment to meet the standards of the 21st century. 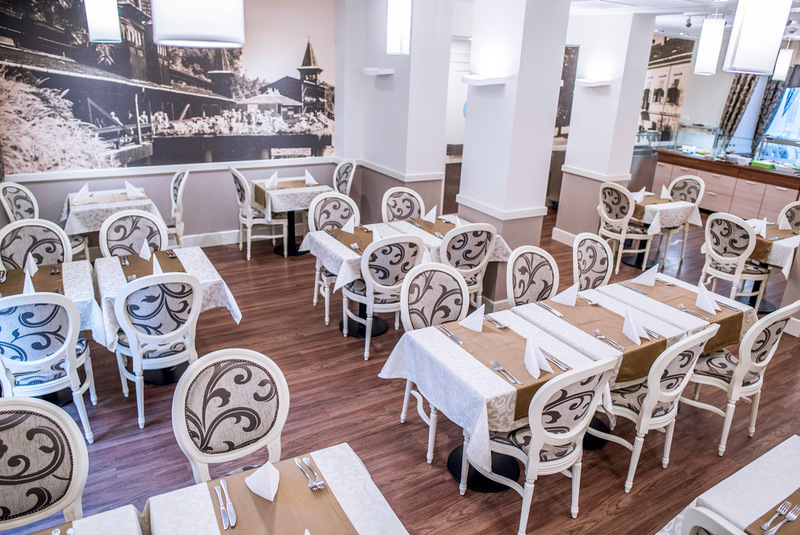 As a result of this development, the restaurant can now seat 110 guests at a time. It also boasts two spacious new terraces, creating many exciting opportunities for the hotel. We make no secret of our plans to attract guests from outside the hotel as well, for à la carte dining or even small corporate functions. The restaurant has also been given a new look, radiating classical elegance but evoking an affinity with nature through the focus on wood and earthy colours, with shades of beige and brown dominating throughout. This is also reflected in the vine-patterned curtains and the upholstery of the seats. But this is by no means all that’s changed: in 2015 a new head chef joined the hotel to prepare traditional, light and healthy meals, and it was also in this year that the head of catering was appointed, and new serving staff were also hired. The new approach yielded results within a few days and weeks, in the form of positive feedback from our regular and new guests. 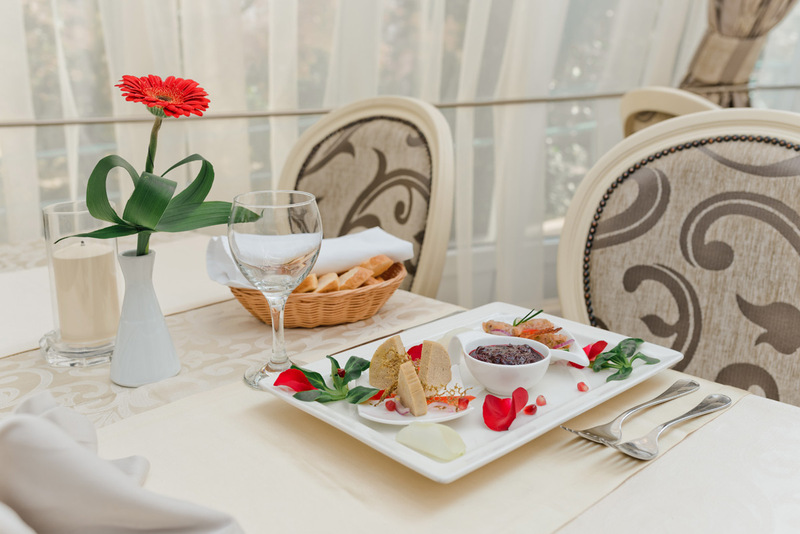 The head chef joined the Hotel Spa Hévíz Platán Restaurant at the best possible time, receiving a new cooking centre, open kitchen and serving chef, as well as a new menu full of fresh, healthy, light, low-fat and, most importantly, delicious foods. The new menu is short, but exciting. It offers everything you’d expect in a well-run four-star hotel that meets today’s standards: light meals, lots of vegetables, sous-vide meals, pottage, and first-class, seasonal ingredients. 21st-century equipment and a 21st-century attitude. The state-of-the-art equipment helps us to achieve the desired quality. Cooking is our passion, and we like to share it with others. And what better proof of our culinary creed could there be than satisfied, returning guests?